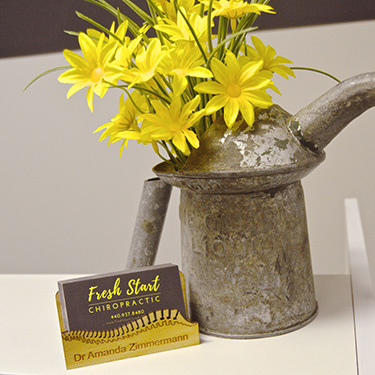 Fresh Start Chiropractic welcomes everyone in the Avon area to experience what we have to offer. 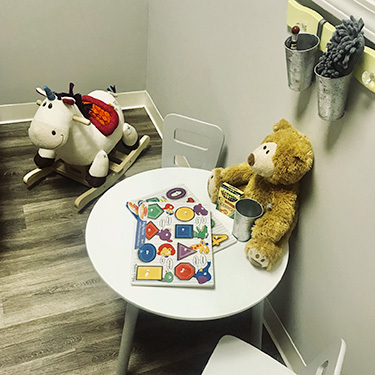 Our family-friendly office includes safe spaces for children to play and be themselves, having been designed to accommodate our youngest patients. You can help yourself to tea or water before you see Dr. Amanda, who’s often training patients in exercises or giving other helpful advice. We look forward to meeting you! Please wear comfortable clothing and plan on spending about 45 minutes at our practice. 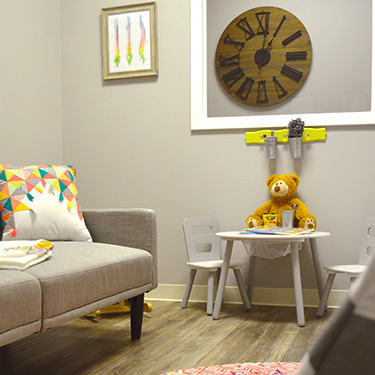 That time includes a consultation with Dr. Amanda; you’ll discuss chiropractic care and what we can do for you, held in the Hope Room. We’ve named it that because it’s the place where we explain to individuals that there’s hope for them, or to parents that there’s a new way to get the answers they need. 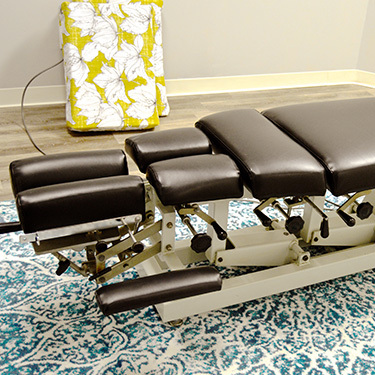 From there, we’ll discuss your health history in detail, followed by a posture screening, other forms of testing if needed and scans taken with the CLA Insight™ Subluxation Station. These noninvasive scans allow us to see inflammation, muscle tension and your stress response without any radiation, so that they can be used on even newborns and pregnant moms. 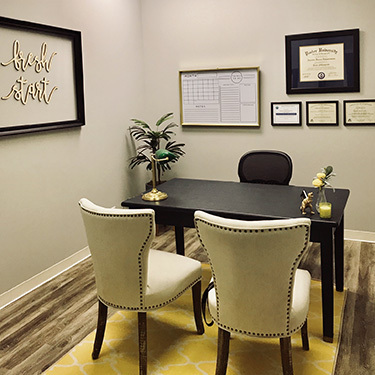 Dr. Amanda will then dedicate time to studying your case and determining how we can help you. You’ll return later in the day or the following day to start your healing. 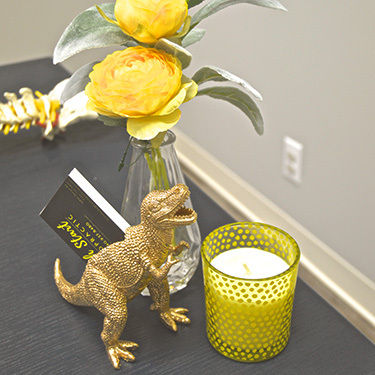 Over 15-20 minutes, you’ll meet with Dr. Amanda to go through your scans and the results of your examination. We’ll discuss how long it’ll take to reach your goals and the financial investment in your health. 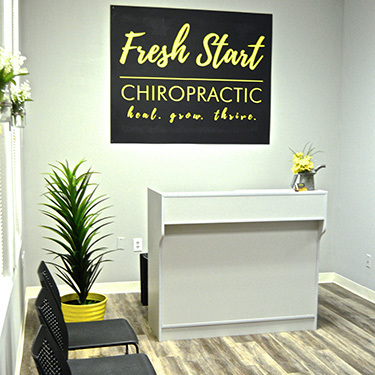 If you choose to get started, we’ll give you a chiropractic adjustment. 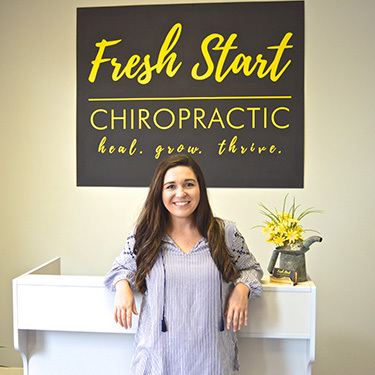 As a pediatric- and prenatal-trained chiropractor, Dr. Amanda is gentle and uses only the safest techniques. Re-examinations are completed every 12 visits to ensure we’re meeting your changing needs. The stress in life, however, will never go away. Just as you take care of yourself by hydrating with water or brushing your teeth, chiropractic gives you a way to maintain your spinal health throughout your lifetime. Birth: Opening the Conversation. What are your options during pregnancy? What rules should you follow? Take control and get the information you need to make the right decisions for yourself. Reconnecting Kids. With diagnoses of ADHD, sensory processing disorders and autism becoming commonplace, what can you do to help your child? Dr. Amanda also offers a special class titled “Asthma, Allergies and Ear Infections: The Root Cause.” She is a certified BirthFit professional, and offers instruction and support in her office for postpartum recovery. Contact us today to schedule your appointment! We’re pleased to offer complimentary consultations so that you can find out more about what we do with no cost or obligation.